Roman and Jewish historians were no fans of Christianity, but they give evidence of the historical accuracy of the Bible, including the life of Jesus Christ. 1. The Bible is the actual word of God and is to be taken literally, word for word (28 percent). 2. The Bible is the inspired word of God, but not everything in it should be taken literally (47 percent). 3. The Bible is an ancient book of fables, legends, history, and moral precepts recorded by man (21 percent). The same Gallup survey from the 1970s produced very different results. Then 40 percent believed the Bible was the literal Word of God. This dropped to 37 percent in 1984 and 28 percent in this latest survey. That is a major drop among those who believe the Bible is the Word of God and to be taken literally. Of course, it is still true, based on the survey, that the majority of Americans consider the Bible to be inspired. But there’s been a shift from viewing the Bible as the literal Word of God to seeing it as a book one can read for inspiration, but not a guide for truth or for moral conduct. This is the third article in a five-part series titled “Is the Bible True?” In this article we will go outside the Bible and see if there is enough evidence from secular history to help confirm its authenticity. The Bible is not written as a history book, but it is a book that contains much history. Many historical figures are identified in its pages. Among the most conservative lists, there are more than 100 biblical characters that can be conclusively identified within secular history. Shishak, pharaoh of Egypt, is mentioned in 1 Kings 11:40 and 14:25. There are numerous inscriptions and historical records for this pharaoh. The record of his campaign against Palestine (dated as 924 B.C.) is inscribed on the exterior south wall of the temple of Amun at Karnak in Thebes, and it conforms to the biblical account. There is no doubt about authenticity. Hophra, another pharaoh of Egypt, is mentioned in Jeremiah 44:30. History confirms that he was indeed the pharaoh of Egypt during the time of the prophet Jeremiah and King Nebuchadnezzar of Babylon. Hophra’s defeat by Nebuchadnezzar in 572 B.C. and subsequent replacement by a general named Ahmes are confirmed in Babylonian records. “Around this time there lived Jesus, a wise man, if indeed one ought to call him a man. For he was one who did surprising deeds, and a teacher of such people as accept the truth gladly. He won over many Jews and many of the Greeks. Tiberius Caesar, Pontius Pilate, Herod, his brother Philip, Annas and Caiaphas are all mentioned in Luke 3:1-2 in connection with the beginning of John the Baptist’s preaching, which introduced Jesus Christ. Tiberius is found on numerous Roman coins and lived from 42 B.C. to A.D. 37. Herod the tetrarch of Galilee and his brother Philip, the tetrarch of Iturea, are mentioned by Josephus, the famous Jewish historian of the first century. There is a stone inscription dedicated to Pontius Pilate that reads: “Pontius Pilate, prefect of Judea.” In archaeology it is called the Pilate Stone, and it is in the Israel Museum in Jerusalem. Annas and Caiphas are both mentioned by Josephus as being among the Jewish high priests of the first century. Being able to confirm more than 100 biblical characters in secular history is impressive and provides a remarkable proof for the validity of Scripture. But what about the central figure of the Bible, Jesus Christ? Does history confirm that such a man lived, performed miracles, died by crucifixion and was resurrected from the dead? Among those that mention Christ are two famous Roman historians. Both wrote in the second century and were born within 50 years of the death of Christ. Publius Cornelius Tacitus was a prominent Roman senator who was born in A.D. 56. His most famous historical work, Annals, was published in 115/116. Tacitus confirms the connection between Christ and Pilate and agrees with the biblical record that this took place during the reign of Tiberius. Tacitus was no fan of Christ or Christianity. Most scholars believe this is an accurate rendition of what Tacitus wrote. Notice that he confirms the existence of Jesus Christ as the founder of the Christian movement. He confirms that Pontius Pilate was the governor (or procurator) who convicted Christ and condemned Him to crucifixion (Matthew 27:2-22). He also confirms that all this happened during the reign of Tiberius Caesar (Luke 3:1). All the characters and dates line up with the Bible. Pliny the Younger, whose full name was Gaius Plinius Caecilius Secundus, was a Roman senator and was appointed governor of Bithynia and Pontus in A.D. 110. In his position as governor, he wrote numerous letters to Emperor Trajan asking for advice. A letter that is relevant to this article is found in his last and 10th book of letters, and it contains references to Christians and Jesus Christ. During this time period many accused Christians of being cannibals. Pliny decided to make a thorough investigation. To his surprise, he discovered that the accusation was incorrect. “They declared that the sum total of their guilt or error amounted to no more than this: they had met regularly before dawn on a fixed day to chant verses alternately among themselves in honor of Christ as if to a god, and also to bind themselves by oath, not for any criminal purpose, but to abstain from theft, robbery and adultery, to commit no breach of trust, and not to deny a deposit when called upon to restore it” (Letters 10.96.7-8, translator B. Radice). Pliny was also no fan of Christians, but in his writings he mentions them as being interrogated, convicted and even killed for being followers of Christ. These two famous Roman historians leave no doubt as to the origin of the religion and its first martyr, Jesus Christ. 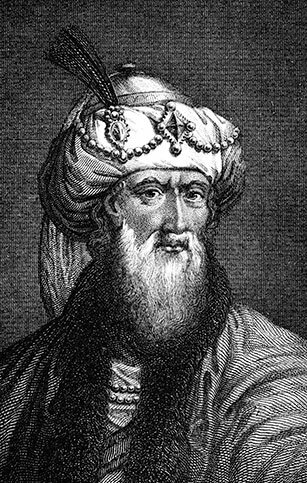 Arguably the most famous Jewish historian of this time period was Flavius Josephus. He is best known for two works, The Jewish War and Antiquities of the Jews. He wrote both of them in Greek to apparently appeal to educated people. The Jewish War doesn’t mention Jesus except in a few disputed versions, but Antiquities of the Jews mentions Jesus twice. While there is some dispute over these passages, few scholars reject them outright. There are two statements within the longest account, called the Testimonium Flavianum, that attract the most controversy: “… if indeed one ought to call him a man” and “He was the Messiah.” The question is whether Josephus, a Jew, would write such statements or if these were inserted by Christians at a later date. “Around this time there lived Jesus, a wise man, if indeed one ought to call him a man. For he was one who did surprising deeds, and a teacher of such people as accept the truth gladly. He won over many Jews and many of the Greeks. He was the Messiah. When Pilate, upon hearing him accused by men of the highest standing among us, had condemned him to be crucified, those who in the first place came to love him did not give up their affection for him, for on the third day, he appeared to them restored to life. The prophets of God had prophesied this and countless other marvelous things about him. And the tribe of Christians, so called after him, have still to this day not died out” (Antiquities of the Jews, 18.3.3 §63, emphasis added). While some question the credibility of this account, the fact is that all surviving manuscripts written in Greek contain the same version of this passage, with no significant differences. Can you prove from secular history that Jesus Christ existed? The answer is yes! In fact, there is no evidence from any ancient writer who seriously argued that Jesus did not exist. Robert Van Voorst, a modern scholar and theologian, in his book Jesus Outside the New Testament wrote, “No pagans and Jews who opposed Christianity denied Jesus’ historicity or even questioned it” (2000, p. 15). Another fact that should not be ignored is that literally thousands of Christians in the first century, including most of the 12 apostles, gave their lives as martyrs. One does not give his life for something that he knows to be a lie. And these Christians, of all people, were in the best position to know whether Jesus Christ was a real person. Is the Bible true? The fact is that secular history corroborates the existence of more than 100 biblical characters and provides clear evidence for the existence of Jesus Christ, the central figure of the Bible. The Bible is a collection of 66 books written by more than 40 authors over a period of more than 1,500 years, and yet it is amazingly accurate when it comes to the historical record. This fact alone supports a single and divine origin. In our next issue we will continue this series by analyzing fulfilled prophecy as another proof that the Bible is true.